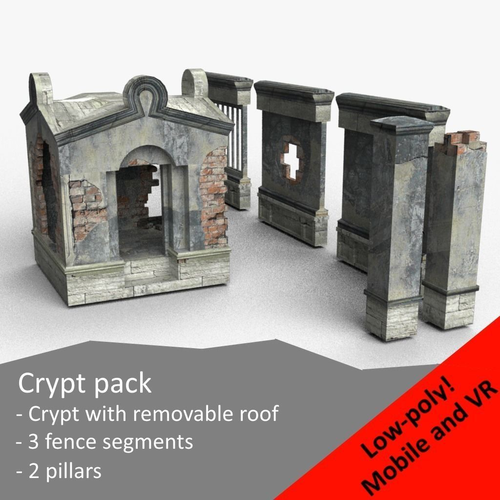 - Low-poly model of crypt; - Modular wall. Ideal for games like zombie shooters, RPGs (medieval settings) and similar. Upper part can be easily removed for games with 3d person view. 1024x1024 jpg texture included.